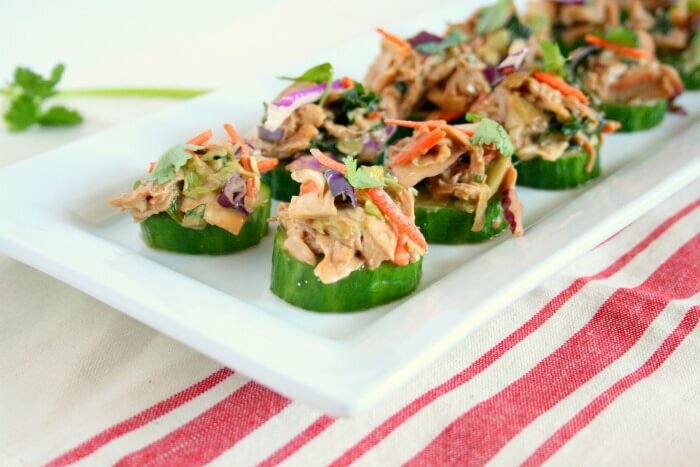 Check out my healthy and creative twist on chicken salad. 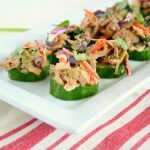 My Asian Chicken Salad Cucumber Bites are easy to make and packed with flavor! This spring, I wanted to come up with another healthy, simple and delicious chicken salad recipe since we always seem to have cooked chicken ready to be mixed into some delicious creation. 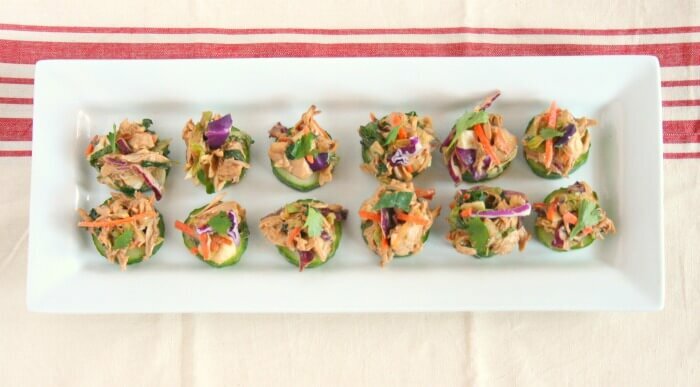 My Asian Chicken Salad Cucumber Bites are just that. I made a fun swap and traded mayo for peanut butter because it lends the same creaminess as mayo but offers more of an Asian flavor. I also added a bag of premixed kale, cabbage, and carrot salad to boost the nutrition. Buying a bag of pre-cut veggies saves time and can also save you money if it keeps you from throwing away excess of each individual ingredient. Finally, place the chicken salad on the cucumber rounds instead of bread or crackers to cut down on calories and sneak in more veggies. 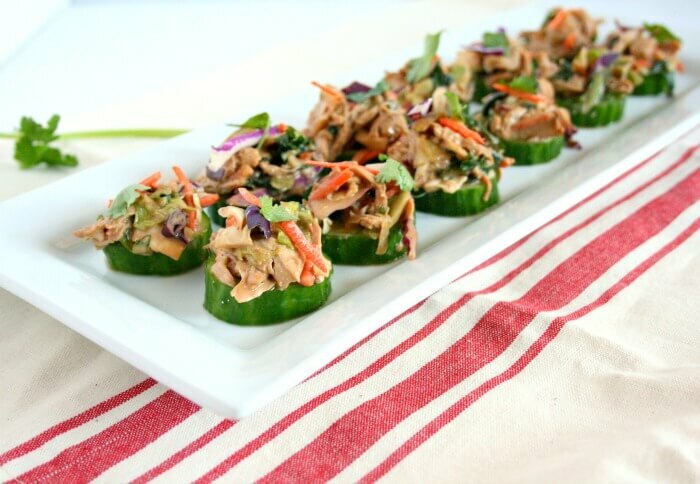 This Asian Chicken Salad recipe is also delicious in lettuce wraps or celery stalks. This no-mayo chicken salad is sure to be a crowd favorite. 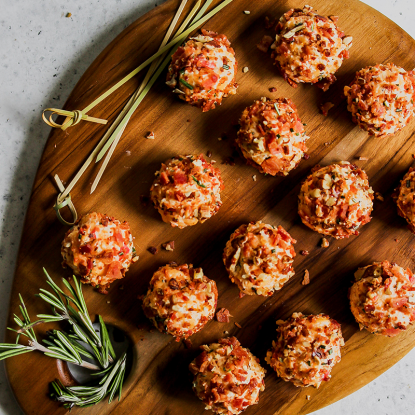 Give the recipe a try and comment below with what you think! Add chicken tenders and water to a medium sized pot. Bring water to a boil. Cook chicken for 6- 8 minutes or until chicken is white and reaches the internal temperature of 165 degrees. Remove the chicken from the water and set to the side. 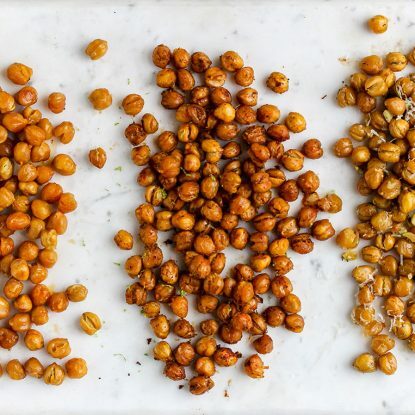 In a large bowl, combine honey, soy sauce, siracha sauce, rice vinegar, olive oil, water, garlic, peanut butter, ginger, garlic powder, cilantro, peanuts, and slaw. Once the chicken has cooled, use two forks and pull the chicken apart to shred it. Add the chicken to the dressing mixture. Mix well. Top each cucumber round with the chicken salad mixture. 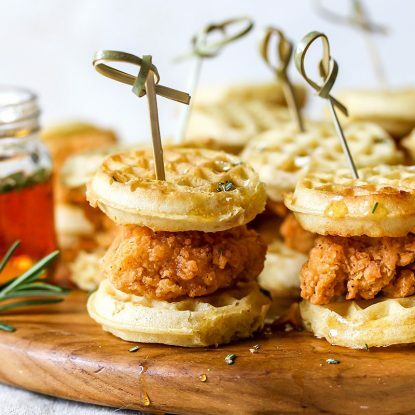 Garnish each with cilantro.